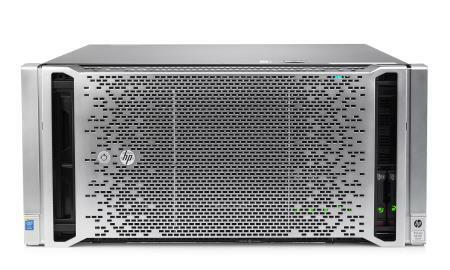 We have good news and bad news: First the good news — a peek at the upcoming Gen9 ProLiant servers Hewlett-Packard will release in less than two weeks. The bad news is we can’t give details about the innards. That’s because the servers will be powered by a new Intel CPU — no secret here, it will be an update to the Haswell line of Xeon E5 chips — which won’t be giving out performance details until its announcement Sept. 8. Other server manufacturers are in the same boat, although they might leak information. –XL730f tray for Apollo 8000 system for high performance computing workloads. While HP couldn’t give speeds and feeds, it did say that the Gen9 servers use DDR4 memory, more powerful controllers than the Gen8 models with 12 Gbps (twice as fast as the Gen8s), improved power supplies, PCIE workload accelerators and improvements smart cache. all of which will boost app performance. “We can change the economics of the data centre by delivering three times the compute capacity at a lower TCO,” said Kate O’Neill, director of global marketing for HP Servers, said in an interview. Gen9 servers give a four times boost in business performance, she said. They will be 66 times faster than their Gen8 predecessors in service delivery, not because of hardware but because the new rack servers will be visible in HP’s OneView data centre management suite for bringing online. OneView could only see Gen8 blade servers. Initially, she said, HP and its system integrator partners will be trying to convince IT shops with Gen6/7 servers that it’s time to upgrade. 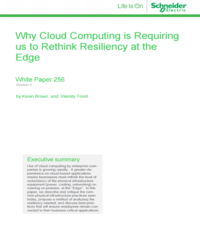 Executives think older IT infrastructure is inefficient, too slow and too manual, O’Neill, said and, so it struggles to meet the basic business requirements That means there are high expectations on IT at a time when organizations are looking at new business models. “IT increasingly needs to become the service broker to the business and provide business value,” she said, “needs to reduct the time to service and how it gets workloads up and running, and drive better data centre efficiencies overall.” Gen9 servers will do that, she promised. The new servers will help IT move to the model of software-defined data centres, where pools of compute, networking and storage are available for service delivery, she said.